Tim Watson’s architectural career includes searching for alternative means for people to acquire affordable, simplified high technology habitations inspired by nature. He envisions places where people live that impact the natural world in positive ways. He is now focused on a new form of architecture and local community systems design engendering rejuvenation of soil, managed rainwater flows, localized food crop production, and localized energy flows. He calls this focus: “Eco-Restorative Design.” Today his designs model the strong belief that “dwellings and all impacted life forms can interact with one another in ways that help restore humankind’s symbiotic balance with local eco-systems.” He currently is helping guide the emergence of Earthwalk Alliance and EcoHeal, 501(c)(3) organizations dedicated to nurturing both people and planet. Tim maintains an architectural practice in Hillsborough, North Carolina. Sue Barry is a freelance writer living in Carrboro, North Carolina. 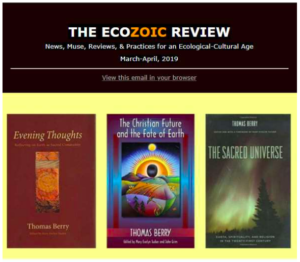 Barry: Drawing on the growing awareness of more and more people’s willingness to call themselves “ecologically conscious,” you have created most encouraging ideas with your “dwelling” designs. Can you summarize how your inventions interface with ecological and human dynamics? Watson: There are four overriding goals that eco-restorative dwellings are designed to set into motion. First, these designs deliver compact micro houses (small dwellings) which provide affordable shelter for people and concomitantly, they inspire a “living systems” environment for surrounding biota (life forms). Second, they provide a reliable rainwater management resource serving their human occupants needs as well as biotic communities surrounding each dwelling’s environs. Third, whenever these habitations are to be grouped into community developments, they provide a living systems platform at larger economies of scale. In this way we look to nurturing larger scaled ecosystems – ecosystems which are ultimately essential for the long-term health of humankind, as well as the long-term health of our planet’s biotic future. Fourth, these kit houses serve as an interactive learning medium whereby their occupant’s senses of self-empowerment, self-reliance, and community engagement are encouraged. Barry: In these challenging times, with growing global focus on sustainability and human effects on climate, are there some specific aspects of your own personal story that have led you to this definitively new direction in housing design? Watson: Years ago my exposure to Native American values awakened my interest in honoring nature by living my life in ways that hold respect for all expressions of life – both human and non-human. Because of my exposure to “seventh generation” thinking, I found myself alive to the sacred nature of “the beauty we walk in.” This ethic holds that all life is precious, worthy of being honored, and worthy of being protected. The writings of Fr. 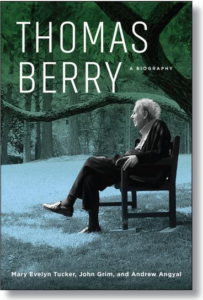 Thomas Berry further drew me to the understanding that Earth is a one-time endowment for all life communities. From my view, this means should any lifeform be threatened with extinction, it does not have the inherent option of somehow escaping its failing ecosystem by inhabiting another planet. Furthermore, this Earth cannot be replaced by human invention, and that if Earth’s ecosystem becomes too compromised, ultimately humankind cannot hope to long endure. Barry: With your Native American backgrounding, are you suggesting a return to structures that embrace those simple, earth-construction concepts? Watson: If you mean tepees or longhouses, not actually. Our team is committed to applying new technologies that will help play a role in regaining the capacity of life to flourish on our planet right around the environs where people live. This quest has been daunting. However, after years of effort my colleagues and I have developed an integrated “living systems” design in the form of a micro-sized dwelling. One of this design’s primary purposes is to help restore micro ecosystems. We therefore named this unique dwelling MicroPerch™. Our work has, in part, been inspired by Gunter Pauli, author of the book The Blue Economy, whose insights into integrated design draw upon nature’s living systems. Architect William McDonough who co-authored the book Cradle to Cradle, initiated my interest in ecological equity some twenty years ago. Cradle to Cradle concepts encouraged us to step back from the routines of daily problem-solving and rethink what frames conditions that shape our designs. Barry: How would you describe this particular “integrated living system design” as it pertains to dwellings for people? Watson: In nature, living systems are at play everywhere around us. With each passing day every living system process—both biological and non-biological—is intermeshed in an ongoing interchange of energy flows involving water, sun, soil, microbes, plants, insects, animals, etc., and currently the most ubiquitous participant of all: humans. We find that it is becoming all the more prescient to mimic these living systems processes in ways that co-mutually benefit people and planet. By applying living system thinking to restoring life’s fecundity, we can best integrate these elemental life-giving processes. In addition to the environmental dynamics which are always a part of the human/Earth relationship, this micro-dwelling design embraces affordability and is also intended as a platform for growing edible plants while encouraging socially beneficial community interaction as well. Here we have yet another integration – in this case an integration of economics, food security, and human community dynamics. 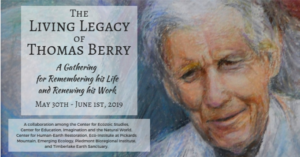 Barry: You make a persuasive argument for commitment to restoring people’s ability to have access to affordable shelter, as well as environmentally enhance living systems, propagate edible plants, and serve in socially beneficial ways. Now what about the shelter itself? How exactly does ”living system design” apply to one of your dwellings? Watson: Among other things, what a future occupant can look forward to is a dwelling designed to propagate indoor and outdoor biota. We have dedicated several integrated planting mediums for growing edible plants, or perhaps simply air filtrating/oxygenating plantings. This dwelling’s design offers a further application of integrated design: its large indoor planter accommodates plants while improving structural load reactions within the dwelling itself. But living systems design is more than just about managing biotic processes. Carbon dioxide helps drive global warming. Buildings emit almost half of the carbon dioxide production throughout the industrialized world. That must stop. Our primary way to meet this need is dramatic reduction of energy use needed to heat, operate, and illuminate building interiors. The mechanical system is simple and inexpensive to operate. It consists of a tiny, low amperage DC 12/24 volt bathroom exhaust vent fan. That’s all. This small fan induces enough negative indoor air pressure to draw outside air through a rainwater-based thermal mass medium which tempers that incoming air. Because of this, no conventionally powered make-up air Energy Recovery Ventilator (ERV) is needed. Thanks to the application of related design breakthroughs, just through the radiation of body heat from two adult people asleep at night, it becomes possible for the MicroPerch interior to remain relatively warm without necessarily requiring use of a mechanical heating source or additional powered mechanical devices. Regarding this design’s “off grid” (utility independent) capability, the entire heating and ventilation system draws power from a modest portion of the 800 watt photovoltaic (PV) array that produces both “direct current” (DC) electricity and domestic hot water. The remaining portion of the PV distribution system serves all LED lighting, refrigeration, rainwater distribution systems, and communication/power elements throughout. There are several material technologies adopted to achieve an incredibly low energy power draw. First is the use of new technology identified as Steel Structurally Insulated Panels (SSIP). These SSIP panels deliver a thermal resistance (known as R value) that on average can deliver an insulation rating of almost R 40. That corresponds to roughly twice the insulation capability of conventional code compliant construction. Second, the design specifications require use of high performance windows and door(s) which have insulation values approximately six times more efficient than conventional window technology. Third, the design is based on rigorous “passive house” design standards rendering it innately efficient to heat and cool. As previously alluded, another new cutting edge technology makes conventional solar panel arrays (PV’s) roughly 40% more efficient by scavenging waste heat off the back portion of these panels. This added energy resource is then sent to thermal mass storage containments located inside the dwelling, and is then used for moderating incoming air supply temperature, and for domestic hot water heating. This dwelling can be adapted for urban infill sites where power and water utility sources are already available. In such cases the initial purchase cost of MircoPerch is thereby reduced. It is estimated the average annual electric power bill would likely be under $360. We know of no other precedents for such low operational cost efficiencies. Barry: You’ve mentioned the option for planting and growing food and other vegetation on or in your micro-residences. How are those incorporated in your design? 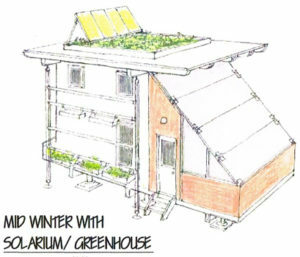 Watson: For those desiring to propagate a densely populated range of flora and microorganisms, or simply provide themselves with organically produced edible plants for food security, there is an optional deployable 12-foot by 12-foot sunlight-filled space which can be assembled by the homeowner and attached to MicroPerch. We’ve named this optional kit PerchSolarium™. This optional kit is primarily intended to grow plants during cold weather conditions as well as provide additional sunlight-filled interior living space. It also draws upon use of “vermi-composting technology” as well as Rudolf Steiner’s biodynamic farming principles. This soil-based “vermi” living system component provides homeowners with a year-round organic fertilizer resource for enriching soils. In addition, MircoPerch is designed to serve as a vertical landscaping platform whereby edible plants can be suspended from the east and west sun exposure sides of its roof overhangs. You can think of MicroPerch as a vertically oriented plant growing platform. This systems engenders an exponential increase in biotic activity via propagation of organically enriched soils, thereby helping them to produce dense, lush plantings – all coincidentally contributing to re-oxygenating our planet. Barry: Obviously, like many interested observers, I’m not an architect or in the building business. How can I obtain instructions for assembling your dwelling? Watson: All dwelling components are designed to be aggregated and mass-produced in factories. Once an order is placed, panelized pieces and other kit components are shipped in steel ISO containers to a designated point of use. The dwelling kit is delivered with all parts labeled for immediate assembly. Complete instructions, as well as all tools needed for assembly come with the kit. No trips to a hardware store will be necessary. The homeowner then follows assembly directions without having to fabricate any of the individual kit components. Each panelized part of the kit is designed so that no heavy machinery of any kind is needed to place its foundation, erect its walls, or put its roof together. Just two people can assemble the exterior parts of Module One in a matter of several days because each piece can be easily maneuvered and positioned. In addition, the entire assembly uses reversible screw and bolt fastenings whereby nothing has to be nailed. That means when the service life of this structure is over, all of the fastenings can be readily reverse assembled (disassembled) for distribution back to the original manufacturing source or other qualified recycling facilities. Barry: I have to confess I’m still somewhat daunted by the notion of building my own home. What further encouragement can you give me about taking on such a project? Watson: The secret to being able to put this kit together using only human hands has much to do with its individual lightweight components, and patent-pending foundation design. The foundation requires no excavations to attain frost-free bearing, and furthermore no placed concrete is needed. By contrast almost all buildings constructed in industrial nations use concrete foundations. This foundation design, in part, inspires this dwelling’s name: “MicroPerch.” The term “Perch” relates to its ability to literally “perch” on top of the ground. In fact, MicroPerch is designed to be perched even on moderately sloped sites without having to disturb bearing soil. Barry: Your concept of “perch” suggests a lightweight, perhaps easily moved and disassembled residence. If I’m planning on eventual re-location, that’s good. But am I going to be safe in stormy conditions? Watson: Securing the foundation to the bearing soil beneath it has been carefully designed to restrain “uplift” (the tendency for building components to lift off their foundations in high velocity wind conditions). The overall design includes provisions for withstanding hurricane-force winds of 140 miles per hour or more. In essence, this lightweight structure is secured to the ground so as to withstand severe lateral wind-load reactions as well as Seismic 9 Richter earthquake conditions. Watson: Two people can easily carry each panelized piece to wherever they want to assemble their dwelling kit. This means it is possible to unload an ISO shipping container by hand, then carry each kit piece to a confined backyard, or perhaps into thickly wooded areas without having to build an access road, or in fact into most semi-remote locations where machinery can’t reasonably gain access. The secret to this is the use of lightweight, highly insulating, Steel Structurally Integrated Panels (SSIP). Of all these individual panels, the biggest and heaviest pieces are the roof panels, which weigh approximately eighty pounds each. Barry: Who else must I hire to help me with such an installation? Watson: When a new MicroPerch owner opts to doing the assembly work themselves they can obviously anticipate saving a significant amount of money. However, any new owner can also opt to hire locally available labor resources to assemble the kit. No general contractor services are anticipated to be necessary. No licensed electrician is needed, because all wiring is 12/24-volt rated which is safe for homeowners/laborers to install. No carpenter is needed, no heating ventilation subcontractor, in fact, no other licensed trades are needed other than a plumber and an approved septic system should a wet sanitary system be required. Barry: That helpful information speaks mainly to the exterior. What about the interior? Watson: MicroPerch interiors are pre-designed for space-saving furnishings if desired by the purchaser. Included in each kit are all sanitary elements including shower space, toilet, and bathroom sink. The kitchen has a countertop mounted electric/alcohol cooktop, sink, refrigeration, and storage cabinets. Panelized interior finishes can be added when the kit is ordered such that conventional painted drywall installations become unnecessary, thus avoiding the need for specialized drywall labor resources. It might be helpful to compare this design with a conventional $250,000 motor home, or recreational trailer, or boat: Everything is downsized to save space, yet in terms of its functional utility, MicroPerch provides a customary range of features one would expect to find in conventional house designs. The interior sees application of simple gravity and sunlight-based integrated systems to move water and energy within its confines. Such systems are easier to maintain compared to conventional systems. Barry: You present a persuasive argument for low cost, hands-on construction and systems management, but what about the cost for materials themselves, like the SSIP panels, for instance? Watson: Not including shipping, projected material cost starts at about $50,000 for Module One which is sized at 190 net usable square feet indoors, and another 144 square feet of outdoor deck space. For an additional cost, this deck space is designed to accommodate seasonal installation, disassembly, and subsequent retrofits of the previously mentioned MicroSolarium™ enclosure. If Module Two is added, these modular plan-area sizes more than double. Should a new owner wish to purchase additional second or third modules at a later time, the overall enclosed space compares to a large conventional US two-bedroom apartment. Total cost without shipping for all three Modules is projected to be about $85,000 without MicroSolarium. Since the combined enclosed space for all three modules could total over 1000 square feet with solarium/greenhouse spaces included, the aggregate cost then would not be much more than $100 per square foot. This compares favorably to the normal $125 per square foot budget which housing authorities are tending to allocate for affordable housing projects in America today. All modules are designed for “off grid” performance rendering them free of utility services. Should the purchaser want to be connected to nearby utility services, the cost for all Modules then decreases accordingly because PV electrical generation is no longer necessary. Barry: Maintenance is another cost factor for homeowners. How might such a dwelling offer savings in this important area? Watson: One of the keys to this design is that it uses readily available equipment and replacement parts. These have been carefully selected and designed to be easily accessible and repairable by the homeowner. When considering the energy savings previously mentioned, during the service life of this dwelling, utility cost savings coupled with low operational expense can potentially save homeowners more than the original purchase price of the dwelling itself. Barry: So far, we’ve been focused on single-family design. But beyond the construction of a single dwelling on an existing residential backyard, do you envision villages or extended communities of eco-restorative dwellings intended to operate at the larger economies of scale you referred to earlier? Watson: MicroPerch long-range planning ideas intend to establish a multi-dwelling package that would provide 20 affordable MicroPerch units to domestic and international housing authorities primarily intent on serving the needs of indigent and marginalized populations. This also applies to emergency housing in disaster areas. We have named this package MicroVillage™. Development, disaster relief, and public housing interests can opt to procure as many of these village-scaled packages as desired. I would like to offer you a brief description covering the step-by-step procedure needed to create MicroVillage projects capable of being situated at countless site locations around the world. Developers and or housing authorities procure the following when an order is placed: 20 MicroPerch Module Ones, (Modules Two and Three optional at additional cost), concentrated solar power array for powering high energy demand applications (for example, recharging electric powered vehicles), a consigned specialist adviser, assembly tools and related spare parts, and composting equipment. All this for roughly $1.2 million, plus shipping. That amounts to about an average of $60,000 per Module One unit, including the amenities and services I’ve just mentioned. At additional cost, the solarium/greenhouses can be added to the purchase price wherever village sites are located in temperate climate zones and year around edible plant production is desired. All components are designed to be shipped in ISO shipping containers and delivered by ship, rail, flatbed truck, or a combination of all the above, including remote site locations. Upon delivery, immediate cost savings are realized because there would be no need for leveling building sites and digging excavations, and little or no need for underground storm sewers thanks to applying integrated rainwater management systems designed for water flows generated by these dwellings. For a one-year period, a trained adviser will also be provided in the base purchase price to supervise the assembly and use of this collection of dwellings and their various optional systems. This specialist will be a qualified permaculture advisor well versed regarding teaching micro villagers about ecosystem restoration. This person will also be familiar with biodynamic farming practices espoused by Rudolf Steiner. During this first year, village stakeholders would be taught, and then practice, how to manage rainwater flows, maintain vermi-composting systems, enrich soils, as well as repair and or replace MicroPerch system components. Most importantly they would become well versed on how to apply the permaculture principles first espoused by Bill Mollison lending themselves capable of proactively enhancing all communities of life being impacted by their community’s ongoing activities. In this way we can envision twenty households working together to establish a village-scaled living system that builds the spirit of community, individual self-autonomy, and co-mutual partnership. In this way we can also see an opportunity to reinvent social systems that nurture human health while working within a village-scaled community. All this while coincidentally impacting the health of local ecosystems on a larger scale. In doing so, we transform society, and we help restore the “beauty we walk in” one village at a time. Barry: How would you summarize the mission of your work? The overriding issue confronting humankind centers upon the unfolding challenges currently being driven by humankind, and humankind’s unfolding relationship with the global ecosystem. Earth’s capacity to sustain westernized human populations over time is in question because of the ongoing drawdown of natural resources such as loss of arable soils, accelerating species extinction, and accelerating climate change. In response to such sobering prospects it is incumbent upon us to find ways to engage people so as to rejuvenate ecosystems being impacted by human activity. We must include educated, economically-advantaged advocates capable of pursuing eco-restorative practices and policies which range beyond current sustainability concepts. Beyond this, however, it is most incumbent upon us to include the common man and woman who see their immediate future and survival closely tied to their personal self-interests being closely tied to nurturing Mother Earth. MicroPerch, MicroSolarium, and MicroVillage concepts offered in this interview can be seen as a vehicle toward this end. In the genesis of these ideas there is a wonderful potential to self-affirm and empower countless millions of people in need of shelter, safe drinking water, locally-sourced food, and community bonding. In so doing they will be drawn towards a reconnection with the sacred nature of all life on Earth. This time in history may well see challenged populations not only sustaining, but also self-empowering themselves to meet their own needs while coincidentally helping to restore the overall health of our planet. In this way humankind may better become a synergistic force engaged in restoring all life communities in the near term, and for countless generations into the future. Permaculture is a system of agricultural and social design principles centered on simulating or directly utilizing the patterns and features observed in natural ecosystems. The term permaculture was developed and coined by David Holmgren, then a graduate student, and his professor, Bill Mollison, in 1978. The word permaculture originally referred to “permanent agriculture,” but was expanded to stand also for “permanent culture”, as it was understood that social aspects were integral to a truly sustainable system as inspired by Masanobu Fukuoka‘s natural farming philosophy. https://en.wikipedia.org/w/index.php?title=Permaculture&oldid=810038002(accessed December 9, 2017) (footnote omitted).